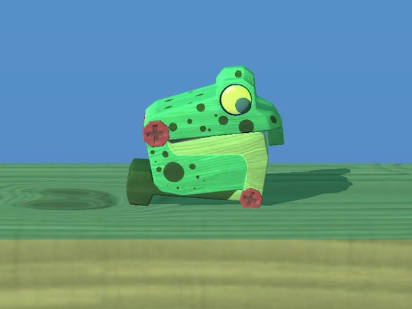 This is a pure-physics based "platforming" game, with a simple, and unique control scheme: two sliders that directly control the angle of the 2 joints on the "frog". They stay where you leave them (they don't snap back to "center" like a joystick or radio controlled car stick), and also "snap" to position when you tap anywhere along the slider -- you don't have to only drag the handle. this creates a surprisingly expressive control scheme that allows a very simple physics toy to do a variety of surprising movement methods and techniques. 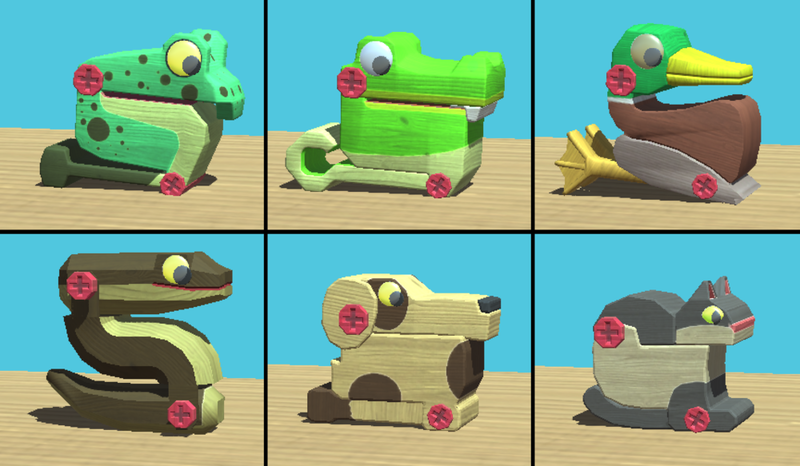 Wobble Frog Adventures should be done soon, and will be released for free (with ads and 1 in-app-purchase to remove ads) on iOS and Android. As usual follow me on Twitter for more frequent updates, and please subscribe to the mailing list if you'd like to know when my games are released.